ORLANDO—Mining the DNA of chronic lymphocytic leukemia (CLL) patients uncovered 12 mutations that may be targetable using therapies already available for other cancers, Penn Medicine researchers reported at the 57th annual meeting of the American Society of Hematology (Abstract 2929). The team, led by Anthony Mato, MD, MSCE, an assistant professor of Hematology/Oncology in the Perelman School of Medicine at the University of Pennsylvania and Penn’s Abramson Cancer Center (ACC), and director of the Center for CLL, used next generation sequencing — tests developed by and run at Penn’s Center for Personalized Diagnostics — to take a deeper dive into 87 CLL patients’ genetic makeup. 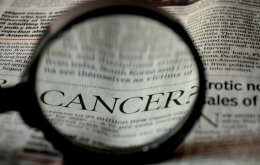 They captured a slew of mutations known to be associated with other cancers: ATM, TP53, BRAF and KRAS, to name a few. Today, there are several already available drugs—PARP and BRAF inhibitors, for example—that target many of these mutations, but they are U.S. Food and Drug Administration-approved to treat ovarian, prostate and skin cancers, not CLL. Patients in the study were treated with ibrutinib, a kinase inhibitor approved by the FDA in early 2014 for CLL patients who had received at least one prior therapy, or in combination with chemo-immunotherapy (CIT). Ibrutinib has shown promising response rates; however, approximately 30 percent of patients do not respond to the treatment and the therapy invariably leads to drug resistance. Researchers, including Abramson Cancer physicians Edward Stadtmauer, MD, chief of Hematologic Malignancies and a professor of Hematology/Oncology, Stephen Schuster MD, the Robert and Margarita Louis-Dreyfus Associate Professor in Chronic Lymphocytic Leukemia and Lymphoma Clinical Care and Research, sequenced the tumors of 87 patients and analyzed clinical characteristics, genetic mutations and progression free survival. Jie Wang, MD, a fellow in the division of Hematology/Oncology, will present the abstract on Sunday. The median age was 65.7 years old, 69 percent were men, and 23 percent received CIT alone, 20 percent received ibrutinib, and 27 percent received both CIT and Ibrutinib. The most frequently mutated genes among the study participants were ATM (15 percent), SF3B1 (12 percent), NOTCH1 (9 percent), DNMT3A (5 percent), and TP53 (9 percent). The presence of a pathogenic mutation — 19 in total — also predicted worse progression free survival in the patients receiving CIT compared to those without a pathogenic mutation. This was true even when controlling for certain cytogenetic mutations that are known to portend a poorer prognosis, the researchers found. CLL is a clinically and biologically heterogeneous disease that is commonly evaluated with fluorescence in situ hybridization (FISH), which screens for specific chromosomal and genetic abnormalities, like del17p in CLL patients, which is known to be associated with decreased survival. “Next generation sequencing is an important additional tool that could further define genetic alterations that may be working in concert to drive malignancy and identify pathways that could be targeted with novel approaches,” Wang said. The CPD is a joint initiative between Penn Medicine’s Department of Pathology and Laboratory Medicine and the ACC to support precision medicine at Penn. Since the launch of operations in February 2013, it has performed more than 4,000 advanced diagnostics on patients with a wide range of new and relapsed cancers.